A wave of protests from supporters and opponents of the ‘anti-Islamization’ PEGIDA movement continued in Germany on Monday night, with rival civil marches taking place in Berlin, Dresden, and Frankfurt. Over 550 activists united under the motto "Berlin patriots against the Islamization of the West" (Bärgida) gathered in the center of the German capital to march on the Federal Chancellery and highlight their concern over the “unfair” treatment of native Germans. 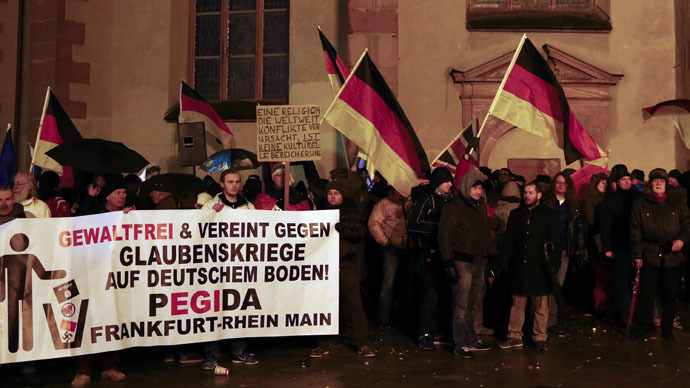 PEGIDA is a German acronym, which translates to Patriot Europeans Against the Islamization of the West. 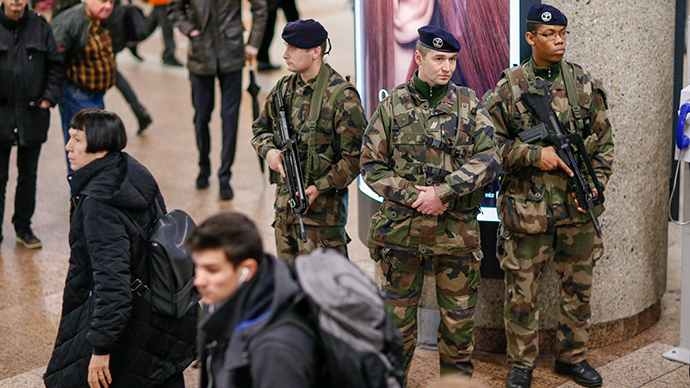 Its core principle is that the movement sees the rise of the influence of Islam within European countries as dangerous. However, in its manifesto the group opposes extremism and calls for Germany’s Judeo-Christian religious culture to be protected. 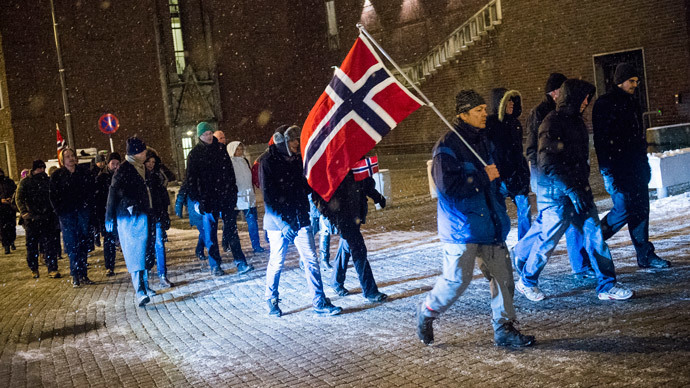 A counter-protest against racism, numbering some 1,100 people, walked in a simultaneous march with Bärgida. Over 1,000 police officers from Berlin, Bremen, Schleswig-Holstein, and the Federal Police were deployed to ensure there were no clashes between the groups. Everything went smoothly, police spokesman Thomas Neuendorf said in the evening. Meanwhile, Ruptly reported that police made at least one arrest at the Bärgida demonstration in Berlin. Footage showed one man being detained by police at an intersection where the pro- and anti- Bärgida rallies came within meters of each other, divided only by a police line. Protests also took place in a number of other cities throughout Germany, a country highly divided over the issue of immigration. Tens of thousands demonstrated in Dresden, gathering for a concert titled 'Open and Colorful' in front of the Church of Our Lady of Cosmopolitanism. 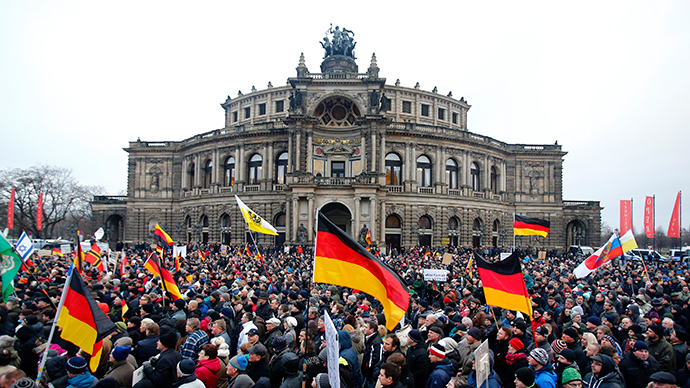 The rally voiced concern over anti-Islam rallies that have intensified in Germany in recent months. 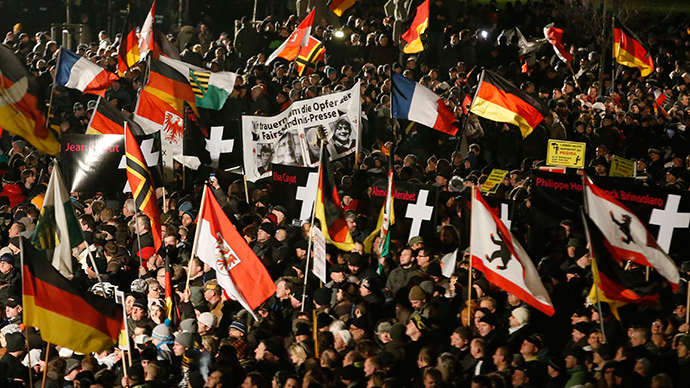 PEGIDA has been organizing weekly demonstrations in Dresden since mid-October. In Frankfurt, about 100 supporters of PEGIDA gathered in the city center near the main train station, surrounded by 14,000 counter-demonstrators. The situation was tense, local media reported, with small scuffles breaking out between PEGIDA opponents and the police. Pro-cosmopolitan supporters, whose mottos were “Together for Diversity” and “Islam is part of Germany – Yes,” overpowered the “Sharia – no thanks” slogans of the anti-Islam movement. 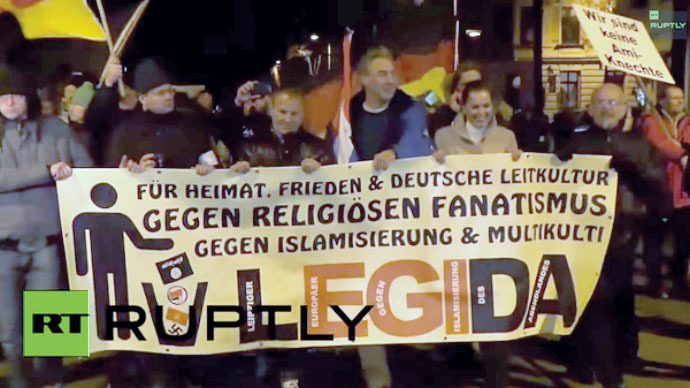 Hanover, Bremen, and Karlsruhe also held pro- and anti-Islam demonstrations on Monday night.